Many consider Bill Vukovich to be Indy's greatest driver. With a little luck, he could have won Indy four straight years. 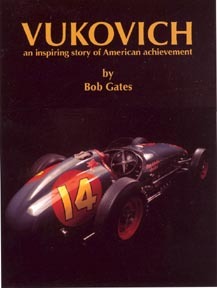 Read about two time Indy winner Bill Vukovich and the two following generations. Bill Jr had a steady Indy career and up coming Bill III had a very promising career but was cut short.